A Power of Attorney document (POA) is a document that provides an efficient and cost effective transfer of authority from you to another. With a power of attorney, you can rest assured that in the event of your incapacity, a person you have selected will have the authority to act on your behalf with a clear understanding of your priorities and goals. Without a POA, you expose yourself and your family to costly and potentially confusing legal proceedings, and the intervention of state authority. It is simply a fact that in the absence of a POA, you have created a vacuum of authority wherein the court, not you, makes the call as to the identity of your agent. That agent will then have the authority to proceed on your behalf, to make binding decisions that may or may not be in accordance with your intent. Power of Attorney authority may be granted temporarily, and it can be withdrawn in the event that you change your mind as to either your selected agent or the scope of the authority granted therein. Q: What type of situation warrants the need for a Power of Attorney? A: Incapacity – the onset of a short-term or long-term debilitating condition either physical, mental or emotional – typically triggers the use of a POA. A: The Power of Attorney grants the authority to do what you want to have done. POAs are typically narrowly construed by the court, so the document should be detailed according to your wishes. Unless powers are specifically and clearly stated, they do not exist. Health Care Decisions – In a world where HIPAA limits a physician’s ability to disclose health care information, it is vital for an agent to have authority to interact with the medical community to make decisions on your behalf. Long-term Health Care – Long-term health care planning powers should be expressly stated. The more guidance you can provide your agent and your family, the easier you will make their decisions. Financial Authority – Money supports your care. A plan should be in place so that your agent understands the authority he has been granted and your wishes as to the liquidation/expenditure of your assets. Real Estate – whether the POA should grant the agent’s authority to sell, transfer, and/or mortgage real property is an important discussion, especially where Medicaid considerations are involved. Gifting / Discretionary Spending – without express written authority from you to make gifts, your agent will not be able to give Christmas or Birthday gifts to your family, or even tithe to your church. 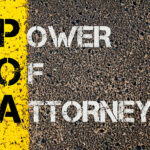 Q: Why should I hire an attorney to create a Power of Attorney? A: An experienced attorney can provide insight and understanding in the creation of a document that is too often treated as a throw-away. The fact is a well-crafted document, within the context of our hopes and intentions, can support our families in times of crisis. Simple legal forms often lack the express authority and detail required to perfect an individual’s goals and objectives. Further, a carefully drafted and properly executed POA is a form of litigation prevention. In a world where families can be extraordinarily aggressive in asserting authority over still-living elders, a defendable POA is the first layer of protection to ensure that your intentions will be honored. For more information about Power of Attorney documents, you should contact an experienced estate planning attorney. An experienced attorney may help you understand the benefits and details of a POA to help enable you to make the proper decisions for you and your loved ones. The executors of Michael Jackson’s estate are involved in a high-stakes estate tax case against the Internal Revenue Service in the United States Tax Court. In attempting to value the estate, each side is roughly one billion dollars away from the other’s valuation. The implications for this estate tax case may only impact celebrities and ultra-high net worth individuals, but the core concepts of valuating an estate and estate plans in general are important for all individuals. The executors of Michael Jackson’s estate filed an estate tax return with a value of $7 million. 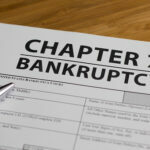 The IRS, on the other hand, issued a deficiency claim with reported value of the estate at $1.32 billion. Due to the stark difference between the estate’s valuation and the IRS’ valuation, the IRS is demanding Michael Jackson’s estate pay an additional $505.1 million in estate taxes and $196.9 million in penalties and interest. As the case proceeds, the crux of the dispute is how to value Michael Jackson’s name and likeness after his death for estate tax purposes. Ordinarily, estate taxes are derived from valuing the deceased’s more tangible assets, such as cash, stocks, real property and other marketable securities. In fact, the valuation of an individual’s name and likeness is not supposed to consider post-death events, but these factors may nonetheless permeate into the court’s judgment. Specifically, the IRS alleges that Jackson’s name and likeness holds a value of $434 million. The estate, however, claims his name and likeness is valued at $2,105.00. These figures will be disputed in court. Distribute assets according to your wishes. In light of these reminders, we encourage all individuals to review their estate plans, including their wills and trusts, with an experienced estate planning attorney. If you do not have an estate plan, now is the time to schedule a consultation with an estate planning attorney to formulate a plan. For more information about the estate planning process, please contact our experienced estate planning attorneys.